St John’s Parochial Hall (aka ‘The Wise Hall’) was built originally by Dr. John Hitchman. It was used by him as a place of worship for people connected with his Arboretum Hydropathic Hospital which opened close by in 1862. After the formation of St. John’s Parish in 1875, it was given by Mrs. Hitchman at a nominal rent to the Parish [Dr. Hitchman had died in 1867]. At the time it was known as “St. John’s Temporary Church”. The Rev. T. E. Franklyn was in charge of this temporary church until the nave of the new St. John’s Church was ready for use in 1878. On 4th June 1883 Mrs. Sarah Hitchman, then living at Fenton House, Stoke-on-Trent, gave the building to the Parish, along with a small strip of land. Her instructions were that the land was a gift to the Vicar and Church Wardens for the site for a school for children of the poor of the Parish, or the site of a school masters house. The Rev. William George Wise built a school house. After the consecration of the church nave, the hall was used as a day school until the scholars were moved to other schools in the town. Afterwards it was used as a Sunday school, for social gatherings, and meetings of all kind. After the First World War the building was considerably improved through the generosity of Mrs. Wise, but the rapid growth of the Parish in the 1920s rendered it totally inadequate. New housing schemes on Tachbrook Road and the Rushmore Estate added over 200 houses, [almost a parish in themselves], so that the population was over 7,000. In 1926 work started on altering and adapting the hall to plans by architect Mr. Frederick G. Cundall (descendant of the architect of the church), to meet the needs of this growing parish. The work was carried out by Messrs. Standbridge and Parker. The new hall was to be used primarily as a Sunday school as well as for parochial meetings. The old building was thoroughly restored and equipped and an imposing entrance and vestibule with an oak staircase leading to the Hall was added. A two-storey extension was erected at the south end of the old room creating two rooms, each 40 feet by 20 feet. They were well lit and were finished with a Columbian pine dado. The upper room had a panelled ceiling with ‘handsome pitch pine roof principals’. A new ‘Morganite’ electric heater was introduced – and it had to be explained that it was a ‘system of heating by radiation as opposed to convection and was found to be most successful’. It was the first time that it had been used in the town. The old room was 50 feet by 25 feet and had a large open boarded roof which was closed as part of these works. A ventilating ceiling was built at a lower level which enhanced the appearance of the room. There was a large opening about 14 feet by 11 feet at the south end, communicating with the new room, and as the floor of this portion was about 2 feet 6 inches above the other, it formed a natural stage upon which concerts and plays were performed. The room under the old Hall was very damp. 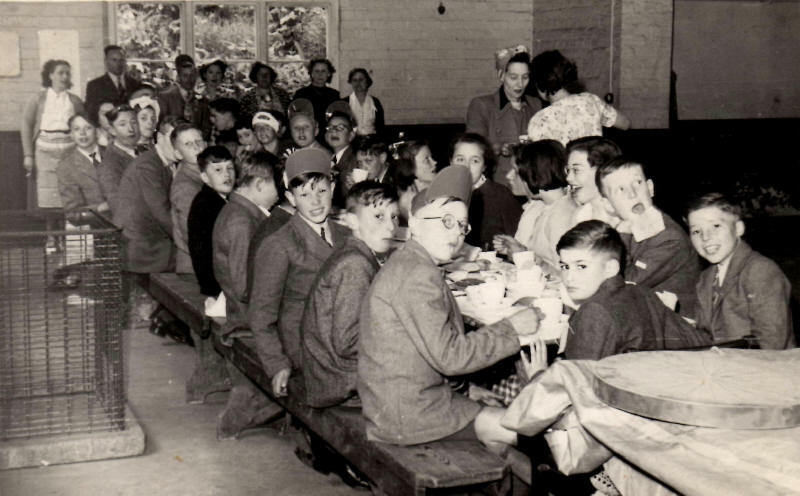 Work was done to improve this – it was then divided up into cloak rooms, toilets and a large kitchen along with a new lower room which was then available for use as a refreshment room for social functions. The following words were inscribed on two mural tablets on either side of the main entrance to the building which from that time on would be known as “The Wise Memorial Hall”: “This Hall was enlarged and reopened in May 1927 by Caroline Augusta Wise and Louisa Elizabeth Skirving, in memory of Elizabeth Wise, William George Wise and Henry Edward Wise”. The re-opening ceremony took place on Sunday 22nd May 1927. The Vicar, Canon Hubble, extended a welcome to the two benefactors, after which Miss Wise, assisted by Mrs. Skirving, unlocked the doors and declared the Hall open. The Wise Hall was requisitioned by the military on 6th July 1940, the letter being signed by a Major Lovett. The formal agreement was signed on 26th August 1940 showing a payment of £80 per annum for the privilege. The basement was not requisitioned at this time and was used to store furniture but this changed on 5th April 1944 when the basement was also requisitioned. 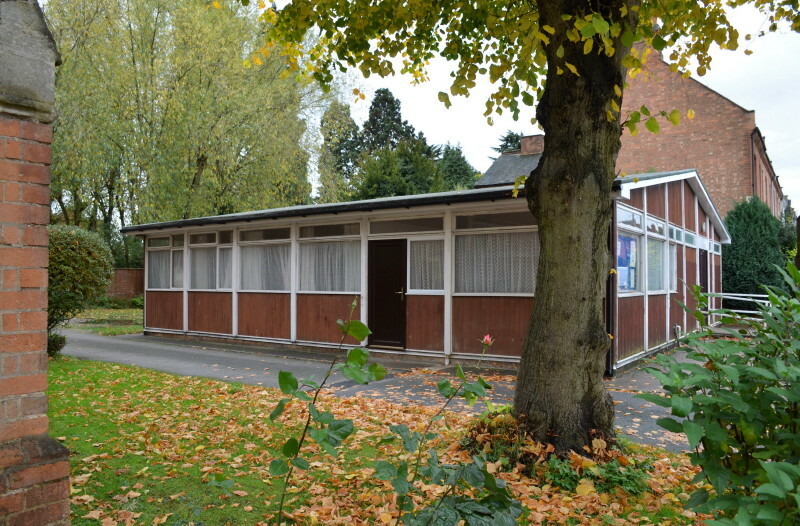 The Leamington Spa Courier reported that during the Second World War Wise Hall was used as a military detention centre. However, the father of Tessa Whitehouse told her that it was used to billet Czechoslovak troops. I think that it is fair to say that the Hall was used for a number of military purposes over the period of requisition. Certainly in the early part of the war it was used by 213 A.F. Company Royal Engineers attached to 95th H.A.A. Regiment Royal Engineers, but they ‘marched out’ on 28th March 1941. It is also known that the Belgian military police were billeted at Wise Hall. A letter dated 1st March 1946 from Capt. D. L. Milner, on behalf of Lt. Col. T. M. Lovett, Quartering Commandant for Leamington, who was based at 14 Newbold Terrace, said that he was making application for authority to surrender the Wise Hall – which it was on 29th August 1946. Following ‘de-requisition’ various works took place to bring the Hall back up to standard as well as replacing the stage in time for Christmas 1946. The remainder of the effects were returned in March 1947. H. Wilson-Wood, a Chartered Architect and Surveyor of 26 Northumberland Road was employed to negotiate with the War Office for ‘rehabilitation’. He recommended that an amount of £502.17s.5d. be accepted from the War Department. On 12th August 1950 the Warwickshire County Council Architect wrote to Rev. J.W. Crank to say that Shrubland Street County Junior School was overcrowded and it had been suggested that two rooms at Wise Hall would be suitable. He asked whether the Trustees of the Hall would be prepared to let the Hall to the County Council and indicated that they wanted to start using it from the start of the new school year on 28th August 1950. On 1st March 1951 a tenancy agreement was signed between Rev. 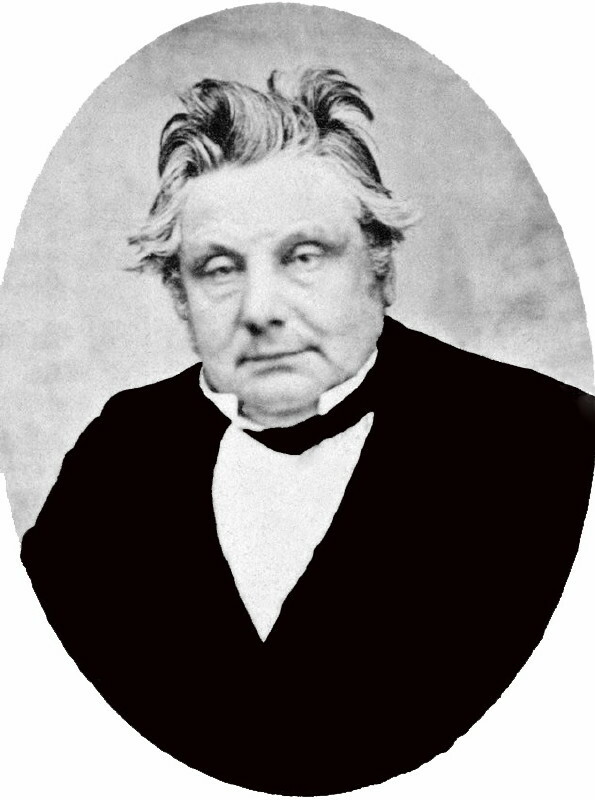 James William Crank and Warwickshire County Council for the use of the main hall, two rooms on the ground floor and offices in the basement of the Wise Hall as additional educational accommodation for Shrubland Street County Junior School. The main hall was to be used for physical education, the two rooms on the ground floor for classrooms and the room in the basement as a covered playground in wet weather. Also included was the use of a piece of grass land outside the hall for use as a playground in fine weather. Lavatory accommodation for the staff and the children was in the basement. The school had agreement to use the site between 8.45am and 4.30pm on weekdays at an annual rent of £200 per annum. Two years later, on 1st January 1953 the rent was increased to £230. 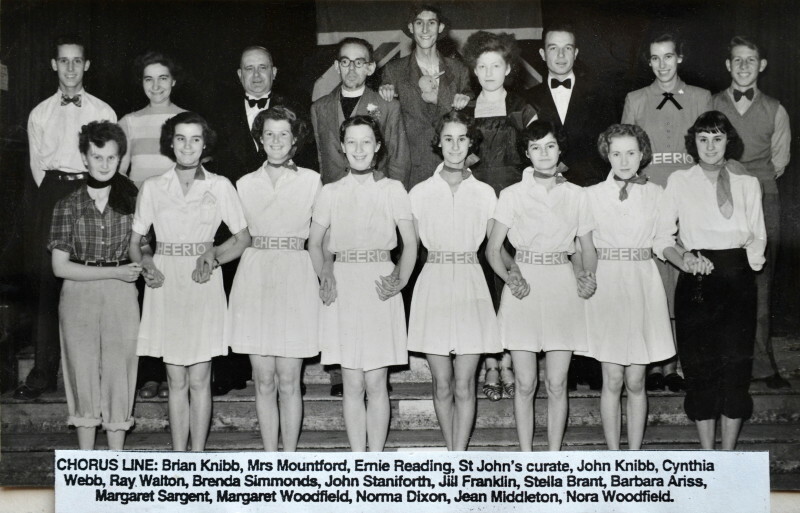 In the early 1950’s John Knibb and his brother Brian approached the Rev. James Crank with an idea to start a football team, which they did. 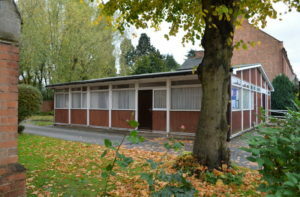 This developed into a youth club that operated from Wise Hall. 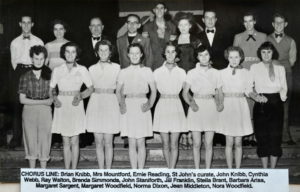 John enlisted a number of ‘leaders’ who were responsible for various social activities. 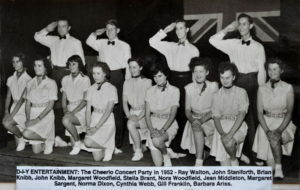 One of the activities that John and Brian were very involved with was a Concert Party. 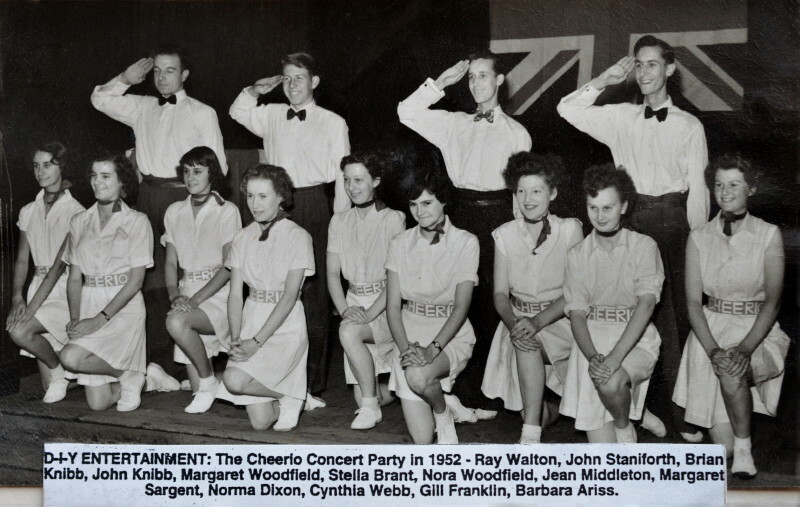 Although the performances started at, and were mainly at Wise Hall, the group went on to perform at other venues locally and further afield. Brian later went on to be involved in local football elsewhere in the town. Some years later in 1999 Amy Nora Slater was chosen to be the first centenarian to receive the Queen’s new-style 100th birthday greetings card. She had joined the teaching staff at Shrubland Street Junior School in 1947 and had stayed until her retirement in 1960. In 1955 builders Stowe and Co. of 111 Regent Street relayed the floor at Wise Hall. The Vicar instructed them to carry out the work during the summer holidays between 23rd July and 3rd September. In August 1960 the County Education Officer indicated that the County Council would only require the use of Wise Hall until the Aylesford High school was moved into their new buildings in Warwick. 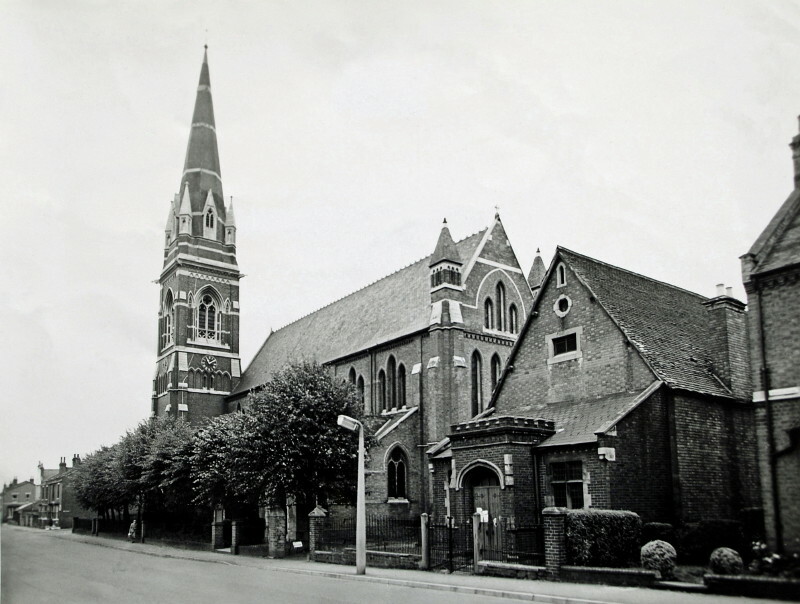 Following the demolition of the Wise Hall a new church hall was erected and opened in 1971 at a cost of £20,000. Many thanks to fellow Leamington history group members Frank James and Tessa Whitehouse for their information and support in helping me put together this history of the Wise Hall.